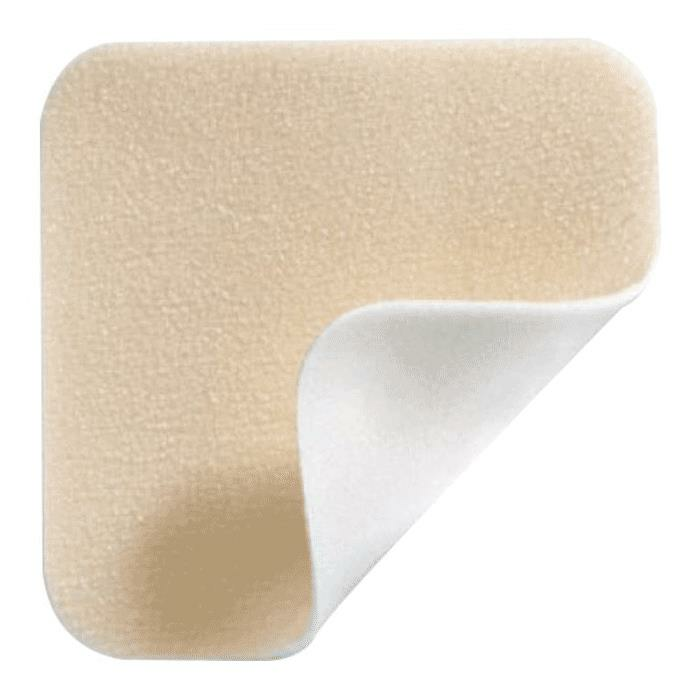 Molnlycke Mepilex Lite Thin Foam Dressing is designed for treating low exuding acute and chronic wounds. It has gentle adherence with better stay-on-ability and provides excellent patient comfort. The patented Safetac technology minimizes pain and tissue damage at dressing change. How to use Mepilex Lite Foam Dressing? When to use Mepilex Lite Dressing? Soft silicone of Safetac technology easily conforms to the uneven skin surface, while other adhesives stick only to the top of the skin surface. This minimizes pain to patients and trauma to wounds. It seals the wound margins to prevent the exudate leakage onto the surrounding skin, thereby minimizing the risk of maceration. 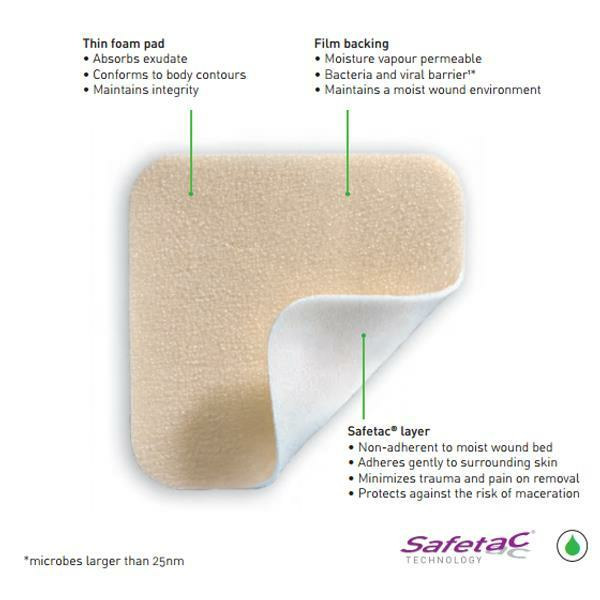 Mepilex Lite with Safetac technology also ensures atraumatic dressing changes. Clean the wound in accordance with normal procedures. Dry the surrounding skin thoroughly. 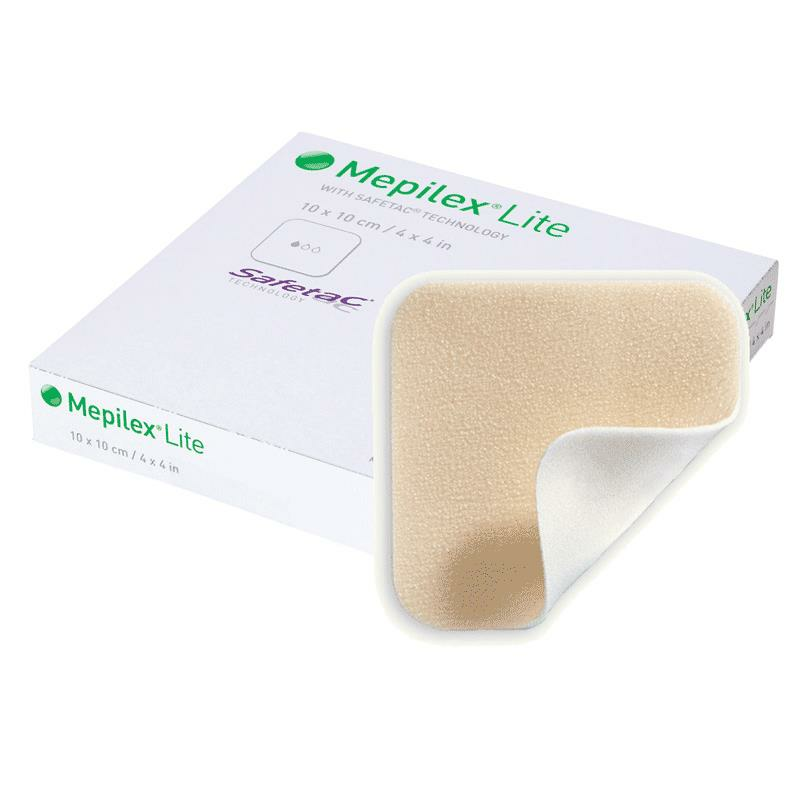 Cut Mepilex Lite Thin Foam Dressing for customization, if required. Remove the larger release film. Apply the adherent side to the wound. Mepilex Lite should overlap the dry surrounding skin by 2 cm. Remove the shorter release film and mold the dressing in place. Do not stretch the dressing. Secure the dressing with a bandage or other fixation, such as Mepitac or Tubifast. Mepilex Lite dressing should not be used with oxidizing agents such as hypochlorite solutions or hydrogen peroxide. It should be stored in dry conditions below 35 degrees C (95 degrees F) and be protected from direct sunlight. In case of signs of clinical infection, consult a healthcare professional for adequate infection treatment. Do not use if inner package is damaged. Sterility is guaranteed if inner package is intact. Do not re-sterilize. Why does Mepilex Lite has a wrinkled film backing? The film backing of Mepilex Lite is intentionally wrinkled to increase both flexibility and evaporation area. Is wound pH influenced by Mepilex Lite? Mepilex Lite is neutral and is assumed not to change the pH of the wound. What if Mepilex Lite is stored above 95 degree F? Mepilex Lite becomes slightly yellow after a while. The discoloration will not affect the dressing properties. Is there any sensitizing compound present in Mepilex Lite? Silicone used in Mepilex Lite is chemically inert and adverse effects are very rare. I have a couple of Mepilex 3/3. Do not see them listed. The 3" x 3" size is not available. Unfortunately we do not deal directly with insurance companies. Our customers will purchase products then submit the paid invoice to their insurance company for reimbursement. We strongly advise checking with your insurance company first to make sure they will reimburse your purchase.